As a counterpoint and complement to the compelling fantasy of Mockingbird, Go Set a Watchman possesses real value. What was often latent in the later novel is on full display here, ranging from the middle-class whites' classism, self-absorption, and entitlement to a racial-epithet-packed screed that would not appear out of place on a forum like Stormfront. Reading Go Set a Watchman also made me wonder how it might have been received by critics and the public if it had appeared in the late 50s, and whether there exists another work of fiction from these years by a young white Southern writer that so baldly lays bare the complicity of the mass of white Southerners, particularly the social elites and middle class, in maintaining white supremacy. In its focus on liberalism's limitations, and its conclusion in Jean Louise's sentimental emotional accommodation with her father's and family's views—"I can't beat him, and I can't join him"—the book also feels very contemporary, since we still encounter unironic invocations of America as a "post-racial" society in the public discourse, despite constant indications to the contrary. There's more at the link above. Oh--and I definitely recommend reading Lee's new (old) book. 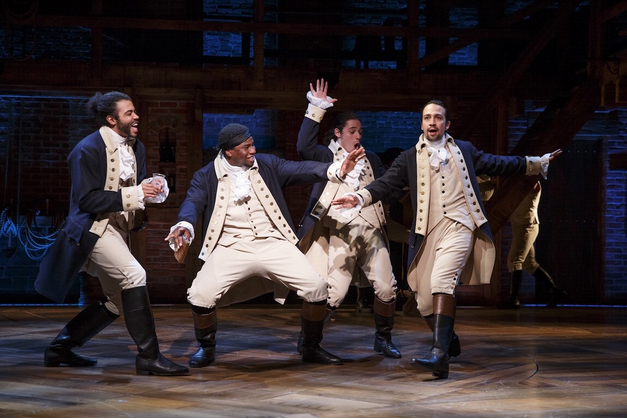 Recently I had the excellent fortune to see Lin-Manuel Miranda's masterpiece, Hamilton: An American Musical, which has made a smooth transition from the Public Theater, where it debuted to acclaim, to Broadway, at the Richard Rogers Theater. I could rhapsodize about Miranda's artistry at length, but VICE fortunately has word limits and editors, so you can read my distilled thoughts about this work at "The Best Musical of the Year Is a Hip-Hop Show About Alexander Hamilton." Not only do I talk about all the kinds of hip hop (from freestyle to chopper) Miranda manages to incorporate, but I also devote a few paragraphs to the multiple political implications of this work. It's not a long review so please do check it out. Hamilton also offers one of the best and most compelling counternarratives to the increasingly extreme conservative rhetoric around immigration. Alexander Hamilton, Miranda never lets the audience forget, was an immigrant from a small island, with a sketchy education, no money, and few prospects, and became the target of constant social and political antagonism. Even factoring in the neoliberal undercurrent of the hardworking, self-made man the musical espouses, Hamilton artfully hammers away at the idea that power should be concentrated in the hands of an elite, or that opportunity should not be extended as widely as possible, repeatedly connecting this thread to larger ideas about race and class. Many of the musical's catchphrases, including "We are a movement," "Rise up," and "The world turned upside down," would sound as fitting at a protest as they do on Broadway. Above all, GO SEE HAMILTON! It just may rock your bells, and your world. The last few weeks ushered in an unexpected blogging hiatus. Between work on the house, C's birthday, end-of-August deadlines, and preparations for classes and my stint as chair, August has barreled forward, leaving my blogging here in the wake. So many national (the death of Sandra Bland in prison and other police-related deaths, the growing influence of the Black Lives Matter movement, the presidential campaign-circus, etc.) and international (the P5+1 Iran nuclear deal, the President's trip to Africa, etc.) news-making have occurred over the summer, and events continue to race by faster than I could ever cover or capture them, so rather than starting stubs as I used to do, to be completed down the road, I've mostly tweeted about them but haven't posted anything longer for lack of time or attention. I have long thought a better solution might be to post short entries, with just a few thoughts, perhaps with photos and links, and leave it at that. I may post longer entries when I can. I'll begin trying that this week. Counternarratives continues to receive reviews, and thankfully very good ones. One of the finest came from the pen of a writer I deeply admire, Vincent Czyz, who also is an alumnus of Rutgers-Newark. Though I never had the opportunity to work with him while he was in the MFA program, we have developed an acquaintance based in part of aesthetic affinities that Samuel R. Delany pointed out in reference to our work. 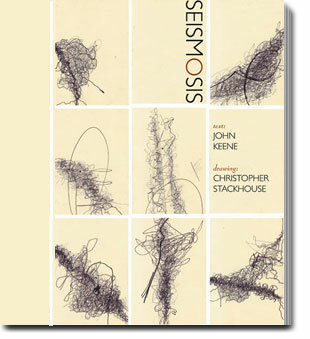 Vince's review, "Counternarratives--Stories About History's Metamorphosis," appears in Boston's Arts Fuse, an online arts magazine. Among Keene’s priorities is language itself. While the notion of the invisible brushstroke became passé among painters more than a century ago, “transparent prose” — composed of disposable sentences designed simply to move characters through plots and meant to vanish in the reader’s consciousness as soon as they are read — still dominates short fiction. Keene, however, weights his sentences almost as though he were composing lines of verse. “The morning light” in “Anthropophagy,” for example, “is too bright to bear except in blinks, winks, the armor of fished-out-of-pocket spectacles.” Here is a striking passage from the same vignette: “ … the hours fall away, disappear, he lying on his side, in dreams or awake and a record cycles on the player, Debussy, Villa-Lobos, Pixinguinha, or a disc grooved from the recordings of catimbo from his journeys across the northeast, its sonorities drumming out a bridge between the present and the past …” And in “On Brazil” Keene offers this description of Portuguese soldiers lost in the jungle: “Sheer, green walls of trees that smothered the sunlight rose before them. An interminable carnival of beast and birds crisscrossed the canopies above, while insects spawned in the pens of Satan swarmed the ground beneath their feet.” The description is not only elegantly accomplished, it is specific in its reflection of the collective psyche of foreigners — of Christian invaders. Two other recent reviews have appeared in the Michigan Quarterly Review and the Barnes & Noble Review. 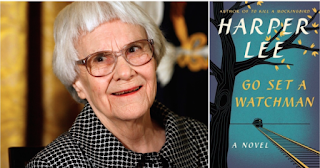 As with nearly all of them I don't know the reviewers and wasn't expecting to appear in either publication, but in both cases the reviewers grappled with the book, and offered some insights for potential readers to think about. What about writers and stories who keep us both thinking critically and, at the same time or by turns, drawn in empathetically? 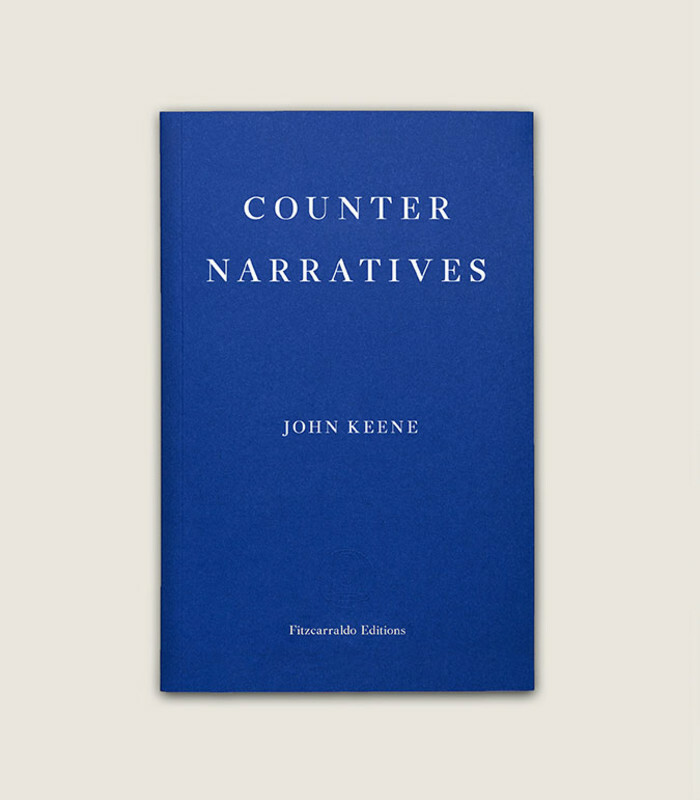 Consider John Keene’s recent and deeply rewarding collection out from New Directions, Counternarratives. The book’s title already asserts the power of some stories to push back, challenge, or yes, counter the harm done by other stories. Keene’s “Counternarratives” (and “Encounternarratives,” accounting for about half of the collection) themselves are often about competing, stratified orders—Portuguese and Dutch imperialists, indigenous inhabitants of the “new world,” slaves abducted from Africa, to draw only a few examples from the beginning of the book, which proceeds chronologically—and are set during times of political and personal upheaval. But rather than simply retell the history of the Americas that has already been handed to us by our school books, in a feat of defamiliarization Keene’s work strives to offer us new perspectives, new versions, new voices. Not only new, but needed: these stories help restore agency, depth, and dignity to figures formerly denied full representation—Jim from Huckleberry Finn (“Rivers”), say, or the acrobat silent and frozen in Edgar Degas’s famous painting (“Acrobatique”)—as well as to the anonymous victims of white systems of oppression and control. “The Aeronauts,” was the first story in the collection to win me over from the outset on account of the fact that the main character in portrayed in a number of different lights — calculating, randy, industrious, capable of speaking in different registers to different people — in other words, fully human. I intend to spend every waking hour in the air, to soar with the brio of a sparrowhawk and glide with a sparrow’s ease and float, as Kaira [my partner] and I do, as the audience perches on the tips of their seats, with the lightness of two creatures who have fully emerged from the chrysalis, how I want to suspend the entire city of Paris or even France itself from my lips if I could achieve that, how I aim to exceed every limit placed upon me unless I place it there, because that is what I think of when I think of freedom, that I have gathered around me people who understand how to translate fear into possibility, who have no wings but fly beyond the most fantastical vision of the clouds . 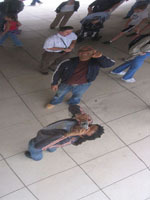 . .
One finds a similar sense of complicated interiority and self-possession in the book’s other stories which move further away from the all-consuming context of slavery — which, again, leaves the reader to wonder if that was the point of the suffocating flatness of the earlier stories. Do check all the reviews out, many thanks to Vincent, to Eric McDowell and to Christopher Byrd, and many thanks also to former colleague Eula Biss, who mentioned Counternarratives as one of her summer reads on the National Book Critics Circle blog. A good word from Eula, one of the best out there, is golden.